Single crystal with very well defined faces and edges of the trapezohedron and the dodecahedron. 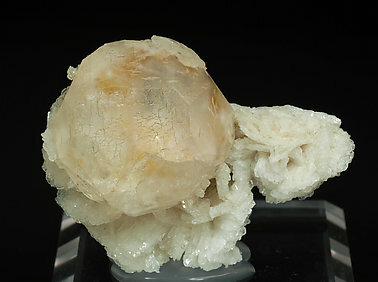 It is unusually transparent and on a matrix of crystallized Albite. A magnificent sample of a species difficult to obtain in crystals of such high quality. 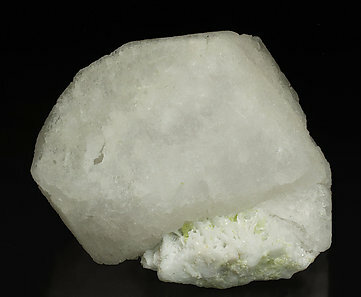 An individual crystal of Pollucite of exceptional size, dodecahedral, with very well defined faces and edges, on an Albite matrix with small yellowish green crystals of Elbaite. A sample worthy of any great collection.